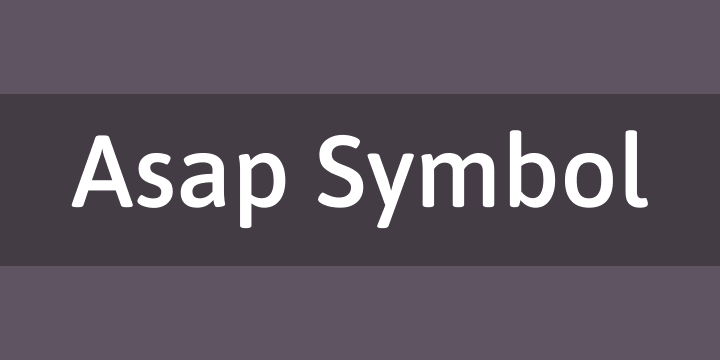 Asap Symbol is a libre icon-font produced as a pictographic complement for Asap Family. It has a comprehensive set of more than 150 icons, covering contexts of education, public spaces, health, tourism and transport. To learn more about how-to-use this icon-font download its Free Character Map. You can download free of charge, but we’ll thank you for your very kind donation! We appreciate every cent!